Toxic Relief & Anti-Aging Mud Pack Masque by Queen Helene - Review & Discount Code | Sahrish Adeel - Malaysia based Pakistani Beauty & Lifestyle Blogger! Queen Helene's products are and have always been my favorite, both for the price and quality. Today I am sharing my experience with their Toxic Relief & Anti-Aging Mud Pack Masque that I have been using for years and I am sure you will fall in love with it too. Queen Helene claims: This classic facial masque is enriched with Kaolin, a natural English Clay known to immediately lift away impurities and revitalize tired looking skin. After use, skin feels firmer while fine lines and wrinkles appear diminished. The tube is made up of plastic with screw cap & contains 227 grams of product. The mask has a noticeable but good scent and a thick consistency. This product is to detoxify the skin and has anti-aging properties. I have mixed of oily and dry zones on my face and it works well for me. I am a sucker for good face masks and Queen Helene is my favorite brand for affordable and high-quality masks and scrubs. I have been using this Mud Masque by Queen Helene for ages and even though it is an anti-aging mask, I have been using it when I never needed anti-aging products. This mask has some great properties including tightening sagging skin and to soften lines on the skin but the most I am interested in is the soft, squeaky and fresh looking skin I get after every use. It has a soft clay-like texture and is best applied with fingers. You will feel a cooling effect on the skin the whole time it is on your skin. The mask takes 10-15 minutes to dry completely and can be taken off either by directly washing your skin in the wash basin, under the shower or by using some bowl filled with warm water and a washcloth. All three method is fine but washing it in the shower is easiest for me. You will notice your skin becoming very soft and smooth after use. If you have redness and itchiness on your face in routine like I do, you will see a noticeable reduction in that issue as well. However, this Mud Masque has an intense scent and all the clay masks I have used in past, they all had the almost same scent. It is not a big deal for me but some might find it bothersome. Overall, I am really happy with this mask by Queen Helene and the price point is a plus if you want to keep repurchasing it. It also works like a charm for hands and feet other than just the usual use of face and neck. I highly recommend this Mud Masque so get one soon when you next decide to purchase a good mask. Discount: If you order Queen Helene Masque through iHerb.com and use my code FCC570 at checkout, you will get 5% on your entire order and 10% on iHerb's House Brands. This code has no expiry date and is not case sensitive. 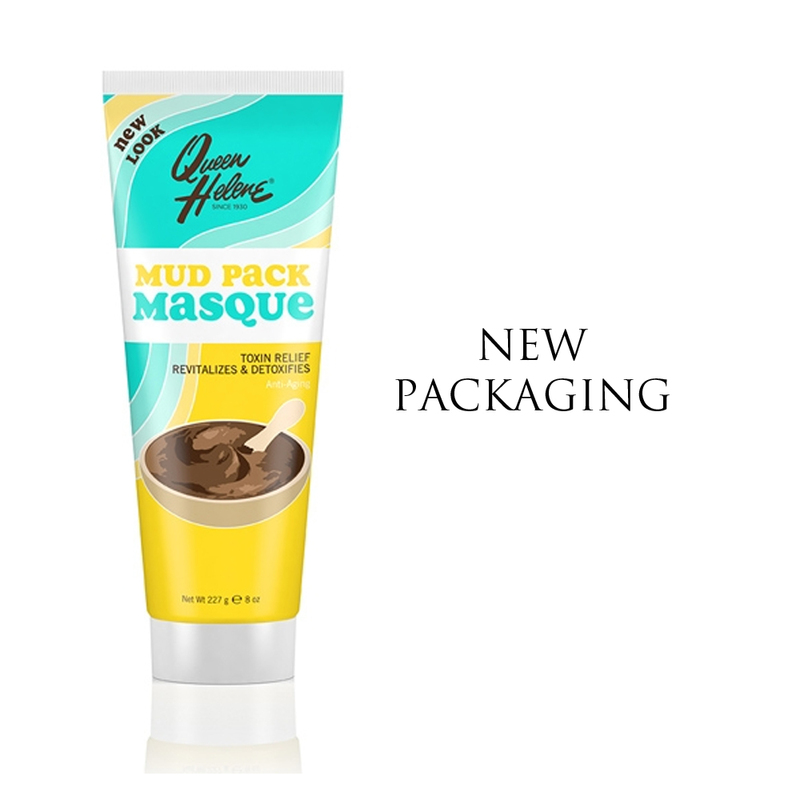 Queen Helene's Toxic Relief & Anti-Aging Mud Pack Masque has different prices all across the web. You can get the product anywhere from $3.50 to $8 and sometimes more. iHerb provides the best prices and affordable shipping worldwide but I am also including some trustworthy links to buy the item online. You can find Queen Helene's products at iHerb, Sally Beauty, Walmart, Lazada, eBay, and Amazon.